Handwritten notes software allows businesses to produce personalized letters for clients and other important contacts. These tools can be used to write and send mail on company announcements, customer introductions, thank-you’s, and special occasions at scale, with quality stationery and the appearance of authentic handwriting. In some cases, the vendor will provide a team to actually write each note by hand—in others, handwriting styles will be digitally replicated for optimal realism. Handwritten notes software is used primarily by sales and marketing teams with regular client communications, but they can also be leveraged by HR and office managers for mass communications as needed. Utilizing this software can help organizations improve customer relationships, increase retention and loyalty, and improve open rates on physical mail. It can also save time and resources that would normally be required on direct mail campaigns, while simultaneously reducing the risk of errors. A number of solutions in this category also provide mailing services, eliminating the hassle of compiling and shipping physical mail. Handwritten notes software typically integrates with CRM software, email software, and spreadsheets software to import contact lists and contact information. Products in this category may also integrate with marketing automation software, e-commerce platforms, and payment gateway software to continually update recipient lists and ensure letters are drafted for new customers and campaigns are accurately tracked. Handwritten notes software may be used in conjunction with rewards and incentives services to pair personalized letters with gift cards when so desired. In addition, these tools may integrate with or offer features of print fulfillment software to produce bulk quantities of personalized letters. Handwritten Notes reviews by real, verified users. Find unbiased ratings on user satisfaction, features, and price based on the most reviews available anywhere. Handwrytten is a platform for communicating with clients, prospects, friends and family. It allows businesses of all sizes to automatically scale their personal outreach through automating handwritten notes. Used by Fortune 500 corporations and small businesses alike, Handwrytten writes your message on your stationery in the handwriting style of your choice. 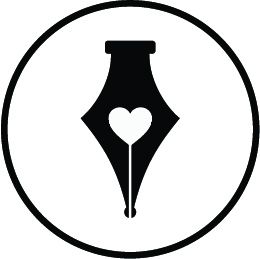 While Handwrytten has a large selection of cards to choose from, users can also design their own stationery online, or provide custom stationery to Handwrytten. Handwrytten can also include business cards and gift cards within the envelopes. Available at Handwrytten.com, mobile apps, Zapier, Salesforce AppExchange, APIs and more, Handwrytten provides a full platform for handwriting automation. In an age of texting and email, the written word is appreciated more than ever. Bond helps you to be more thoughtful with technology that streamlines the art of correspondence to save you time. • Choose from over 15 handwriting styles for flawless penmanship every time. • Select stationery to fit the occasion—we’ll even put the stamp on for you. 1,000+ companies trust MailLift's software, services, and confidentiality to transform the way they attract, engage, and delight customers. MailLift's software allows businesses in the U.S., Canada, U.K., and Australia to automate welcome package campaigns and engage customers through personalized handwritten letters. MailLift's easy to use software, along with its seasoned team of marketing specialists, ensures client success through an industry leading 1,000,000+ words per year. Each letter is written by hand and postmarked from your location. Postable is the easiest way to get people's mailing addresses. Very useful for wedding invitations, birth announcements, holiday cards, or just because it's nice to have them. The Felt app offers several tools to customize your personal message, including different pens and inks, and a handy eraser. 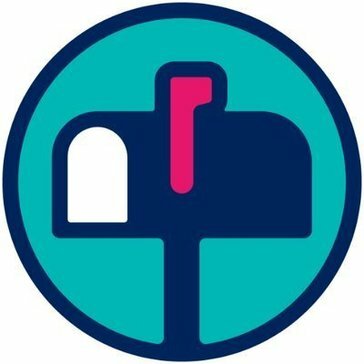 Note-r-rific lets you mail handwritten notes via the US Postal Service; just like sending an email. Just select a contact, type your message, and click send. Sent-well specializes in the personal touch of the handwritten note. Choose your cards conveniently online, and we will handwrite your personal message inside, stamp and send them for you. Thankster was originally created to fulfill a very simple mission – to greatly ease the burden of writing thank you notes and greeting cards, such as holiday cards. These cards are often expected to be written in your own handwriting, and yet they tend to be very repetitive and very numerous – and as a result, very laborious to write. Thankster makes this process simpler by letting you type in the notes, starting with a core message that you can edit individually for each recipient, if desired. Patented technology, people can add a handwritten touch to their important messages be it virtual (tweets, email, text messages) or typed but printed (greeting cards, gifts, business correspondence, books, thank you notes). Find out how our robotic process can reach your customers, donors, stakeholders, or guests in your handwriting, with the ease of sending an email. Punkpost is the app that lets you send handwritten cards in the amount of time it takes to write a text message. ViaNote™ can be completely customized down to handwriting style and ink color. Messages are digitally prewritten and proofed, guaranteeing accuracy, speed, and compliance. Hi there! Can I help you find the best Handwritten Notes solutions?